Rabbi Shmuel Khoshkerman is the Nasi of Kollel Ner Hamizrach. He is also the Rav of Congregation Ner Hamizrach, Atlanta Posek, Mohel, Dayan and author of the Minchat Shuel series of Contemporary Halachik Issues. 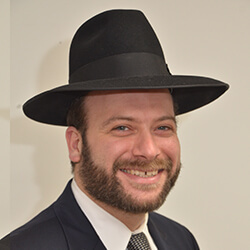 Rabbi David Kapenstein is the Executive Director of Kollel Ner Hamizrach. He and his family have lived in Atlanta for 26 years. He is also a magid shiur Daf Hayomi. Rabbi Shmuel Yisrael Fakheri was born in Shiraz Iran. At the young age of 14 he moved by himself to Baltimore, where his parents enrolled him in Yeshivat Ner Israel. Rabbi Fakheri’s mother still resides in Shiraz. He is married to Elisheva, the daughter of Rabbi and Mrs. Shmuel Khoshkerman, and they have two children. 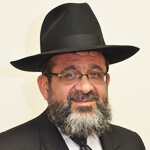 Rabbi Fakheri speaks fluent English, Farsi and Hebrew. Rabbi Raffi Darzi was born in the United States but has lived most of his life in Israel after his parents made Aliyah. Rabbi Darzi and his wife Naama moved to Atlanta after the birth of their third daughter. Mrs. Darzi was born and raised in the United Kingdom but she too has spent many years in Israel. Most recently, Rabbi Darzi was learning in Kollel. Midrash Sefardi, Jerusalem. He is an experienced chazan, baal koreh, shochet and sofer. 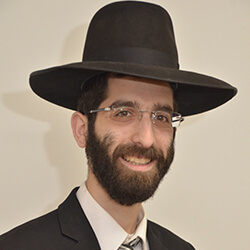 Rabbi Chezky Edelson was just fourteen years old, when he left his hometown of Baltimore MD to begin his transformational journey through the finest Torah institutions in New York and Israel. When he was but twenty years old he received his rabbinical ordination from Rabbi S. F. Zimmerman (currently the chief Rabbi of Gateshead) at Yeshivah Ohr Somayach in Monsey. 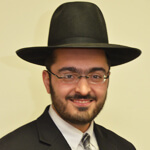 His passion for helping others always shines through, and ever since his childhood Chezky has devoted much of his time, volunteering in his community and for organizations such as Chai Lifeline, JEP, Aish, and RAJE. You won’t get a bigger smile, a warmer hug or a more loyal friend from anyone than from Chezky. Chezky’s warm personality is complimented by his many talents, he enjoys singing and playing guitar, excursions in the great outdoors and tinkering in his garage. Tzivia was born and raised in Atlanta GA where she attended Torah Day School Atlanta, Yeshivah Atlanta and Temima High School for Girls. She loves coordinating events and hosting guests in her home. Her guests feel like part of the family as Tzivia treats each one with the same kindness and concern as her own children. Everyone enjoys her sensitive yet frank conversations which they know will always be full of wisdom and inspiration. 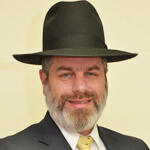 Rabbi Yehuda Levenson hails from Queens NY. 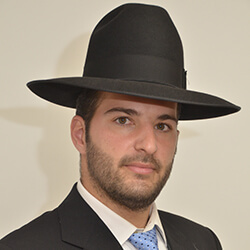 He is a serious and highly motivated ben Torah and a warm and patient teacher. He has held positions as camp director, tutor and mentor. He is also an experienced sofer. In 2015 Rabbi Levenson graduated from the Zobin Teaching Course as well as the Ohr Lagogah Institute for International Teacher Training. He has learned in several Yeshivas including Mir, BMG and Yeshivas Ohr Hachaim. Mrs. Devorah Levenson was raised in Baltimore and is a trained kriah (reading) specialist.